Electric cars have become all the rage lately, thanks to Elon Musk and Tesla, among others, but can you imagine battery-free electric cars? Even if you can’t, you should know that we should be driving them in about 5 years, if all goes well. According to recent research, graphene-based supercapacitors might be the solution to the battery issues we might encounter with electric cars. Batteries for electric cars are among the most expensive components and they constitute one of the biggest drawbacks of these kinds of vehicles. At the same time, batteries tend to have a battery life, which means that when used in electric cars, they deplete pretty fast and wireless charging stations aren’t as common as we’d like them to be yet. Graphene could be the solution for these issues and researchers at Rice University partnering with researchers at Queensland University of Technology have come up with a supercapacitor grapehene film that could replace batteries. The idea behind fitting electric cars with graphene supercapacitors would mean that the large batteries these vehicles need would be out of the question. The graphene film, on the other hand, being thin and solid, could be placed anywhere within electric cars, so that the large amount of film can provide a lot of energy and thrust to the vehicles. At the same time, since the material is actually pretty light, it would make the electric cars considerably lighter,too. 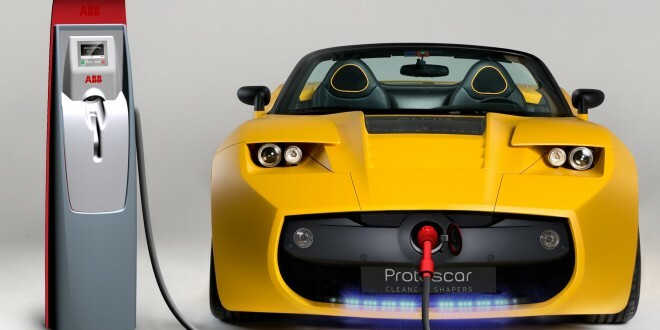 Currently, one needs to spend at least 3 hours charging batteries for electric cars, whereas the graphene supercapacitor film can be fully charged in a matter of minutes. You might ask why manufacturers aren’t using this technology yet. The issue is that the researchers haven’t found a way to store too much energy in the graphene films yet, but hope that they will find a solution in 5 years tops. If they succeed in their attempts, electric cars would be able to run for 500 km on a single charge, which would be quite the achievement. Another pleasant aspect of the new graphene technology is that it has been proven to be more ecological and economical than the standard lithium batteries we use in electric cars. Graphene is made of carbon, which is an easier material to come across and would be the ideal course of action if we want to tone down the use of fossil fuels. It can also be sourced more easily than the lithium found in electric car batteries, too. In any case, if the scientists are right and they can perfect the technology in just five years, the electric cars of the future will be much more convenient than they are now. While the 5 year term set by the researchers is a bit far-fetched, since graphene is already pretty hard to make, we sure hope that their resources and technology advance and we can see a new way of safely, economically and ecologically driving around the world.